Since 4,000 B.C., flip-flops have been the choice footwear of many cultures. They've been beloved by everyone from the ancient Egyptians to the Romans, the Japanese and the Brazilians — who gave us Havaianas. Some flip-flop fans even find a brand so comfortable they buy five pairs at once. I don't have that luxury. As a travel writer who once visited 25 countries on five continents in a matter of months, I live out of my luggage. So, I only have room for one pair — and they have to be versatile enough to be worn in water, to weddings and everywhere in between. Fortunately, about five years ago I found the 'Ohana flip-flop. 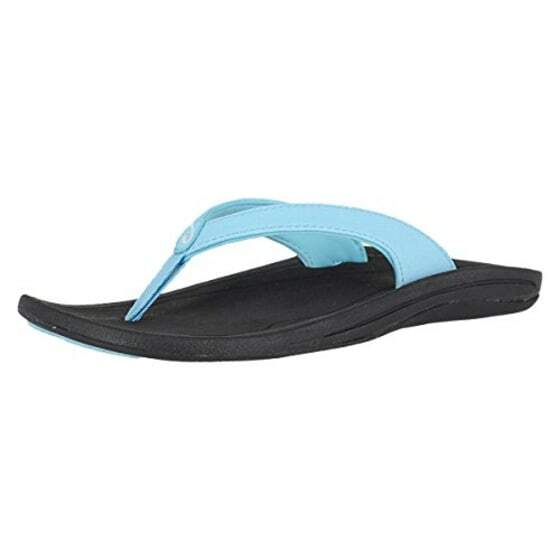 "Best Flip Flop out there and I have tried them all." 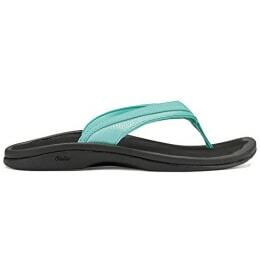 You can view the full assortment of Olukai 'Ohana sandals here. If you've seen Disney's "Lilo & Stitch" you know 'ohana means family in Hawaiian. 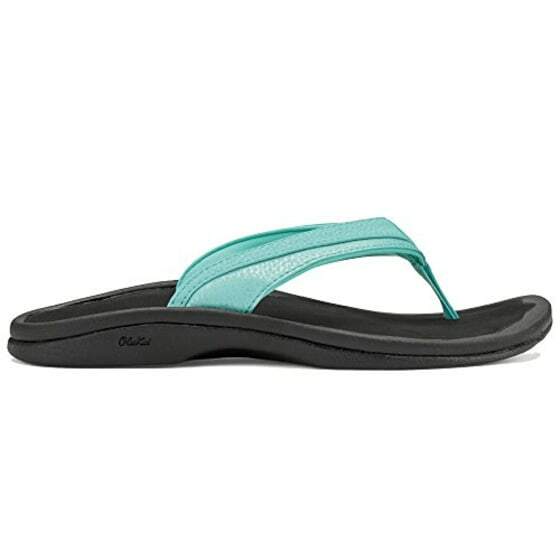 'Ohana is also the name of the best-selling flip-flop from OluKai. 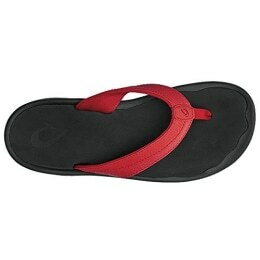 But, the word flip-flop doesn't do this shoe justice since it doesn't really flip or flop. I'd call it a comfortable sandal. Since it debuted 13 years ago, the 'Ohana has come out in more than 50 colors, and OluKai has made enough pairs to cover the length of the island of Oahu nearly six times, according to the brand. Mine are Dark Wood, so they're brown. But, they're also dark enough I can get by wearing them with black. And 'Ohana really does mean family. 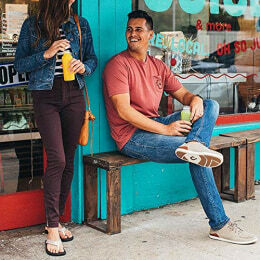 They come in women's, men's and children's styles. After years of wearing flip-flops that cost less than a cup of coffee, it pained me to pay $90 for my first pair of 'Ohanas. But they were only so expensive because I bought them in a luxury resort gift shop. I was staying at Disney's Aulani and needed a pair of flip-flops, since my cheap ones broke. I tried the 'Ohanas on, and within seconds, bought them. The good news is they're not normally $90. On Shoes.com older styles start at just $40. On Zappos, where 82 percent of the 1,033 reviews are 5 stars, the latest styles are only $65. Most importantly, you get what you pay for. Plus, they're available on Amazon. As one Amazon reviewer writes, "Sometimes I even wear these inside just because it's better on my feet/knees than cooking in the kitchen barefoot ... my joints weren't screaming like they would be if I stood for eight hours in $3 Old Navy flip flops." Despite being schlepped around the world and worn in about 40 countries, my 5-year-old 'Ohanas are still nice enough to wear to a casual beach wedding. One reason they've lasted so long is because they float and are water-resistant. They even hold up surprisingly well in salt water. I wore them at high tide in Australia in December. And when I visited Israel's Dead Sea this winter and was warned the salty bottom would hurt my bare feet, I just packed these sandals. I wasn't going to go out and pay $15 for a pair of dorky water shoes I'd only wear one time. But perhaps the number one reason I've had them so long is because they're too comfortable to retire. 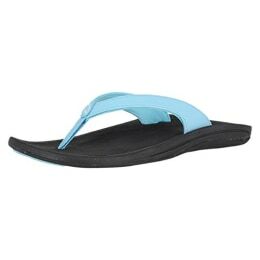 Unlike basic flip flops, which harden and crack, these have a forgiving EVA midsole and footbed. In other words, there's a squishy rubber-like layer that feels soft, yet supportive. One Amazon five-star review titled "These flip flops saved my vacation" is from a man with plantar fasciitis who comfortably hiked more than two miles in them. He should thank me. Last August, I helped my boyfriend shop for new sandals for our upcoming vacation to Miami and Cuba. He's 6'4", and wears a large shoe size ... which can be hard to shop for. When I showed him the 'Ohanas on display, he balked at the price tag. Somehow he was happy to pay $60 for a round of cocktails but didn't want to spend that much on shoes he'd be living in for two weeks. Still, after trying them on and comparing them to the cheaper flip-flops in the store, he came around. In fact, he's done a complete 180. While at an all-inclusive resort last month, he tried wearing them to dinner. When he was told the dress code didn't allow flip-flops, he said he'd rather go back to the room and order room service than change into his dress shoes. I'm hoping a couple that 'Ohanas together stays together. After all, 'ohana does mean family.